One thing is certain: synthetic inputs will continue to play a significant role in conventional crop production. But it is ever more apparent that new avenues of innovation need to be pursued in order to both sustain and improve the ecosystem. Ensuring the continuity of the food supply in the years to come will require “bridge solutions” – formulations that combine synthetic and biologic elements, enabling growers to transition from a system rooted in toxic pesticides to a healthier, zero-residue, biological-based system. STK introduces Regev and Kruv. 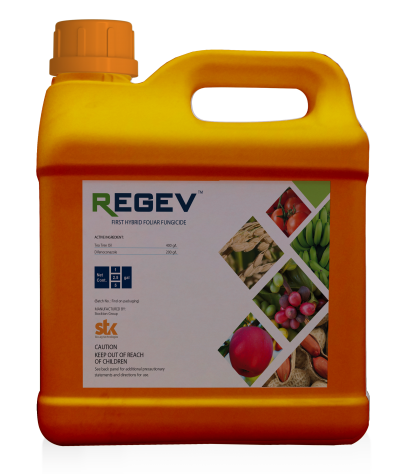 Integrating biologics into conventional spraying programs – whether in pure form or in pre-mixed hybrid pest control formulations – is the next logical revolution in enabling food growers in all sectors and geographies to meet market demand, reduce their ecological footprint and thrive economically. 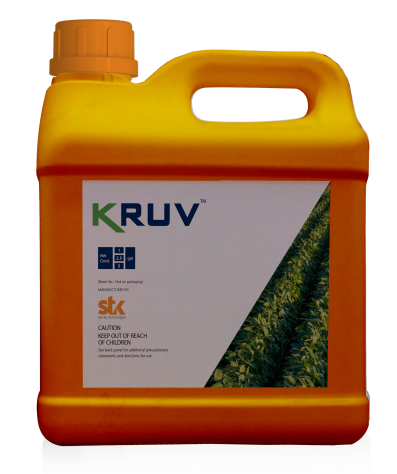 STK develops hybrid pest control formulations that are the first of their kind in the market – balanced, ready-to-spray solutions that offer farmers a simple mode of adopting biologics without needing to change how they operate. Hybrid solutions can be used with standard spraying equipment and have the same shelf-life as synthetic products. Moreover, they do not require a grower to have any inherent knowledge of how a biologic formula behaves, or how to combine it with synthetics so that its mode of action performs according to expectations. STK’s botanical-based and hybrid solutions complement the conventional, at once extending the lifespan of chemical efficacy and mitigating its harmful effects on food, people and the environment. This hybrid pest control approach is a practical path towards a more secure and sustainable agricultural ecosystem.